Cottage Pies. This joint has only 2 outlets, one at Century Square and the other at White Sands, both in the Eastern parts of Singapore. 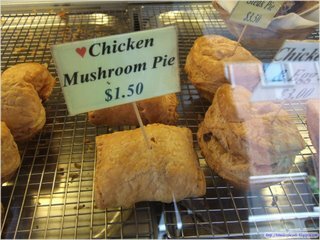 We had the Chicken with Mushroom pie and it cost us $1.50 for one that was slightly bigger than the normal Polar chicken pies you get from the Polar cake shop. 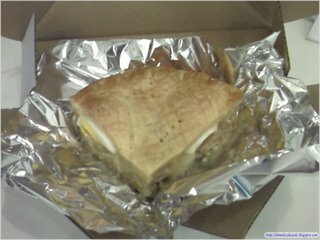 The crust of the pie was a little flaky and didn't seem to be oily, but the filling, though plentiful, was forgettable. Nothing really stood out. A fair and cheap pie nevertheless. Piper's Pies. This Aussie outfit has 3 branches, one at Caltex House, Raffles City basement and Bukit Timah. We had the Beef with Bacon and Cheese pie and the Chicken with White Wine pie. The pies were relatively bigger than the ones from Cottage Pies, slightly more than double the size actually. 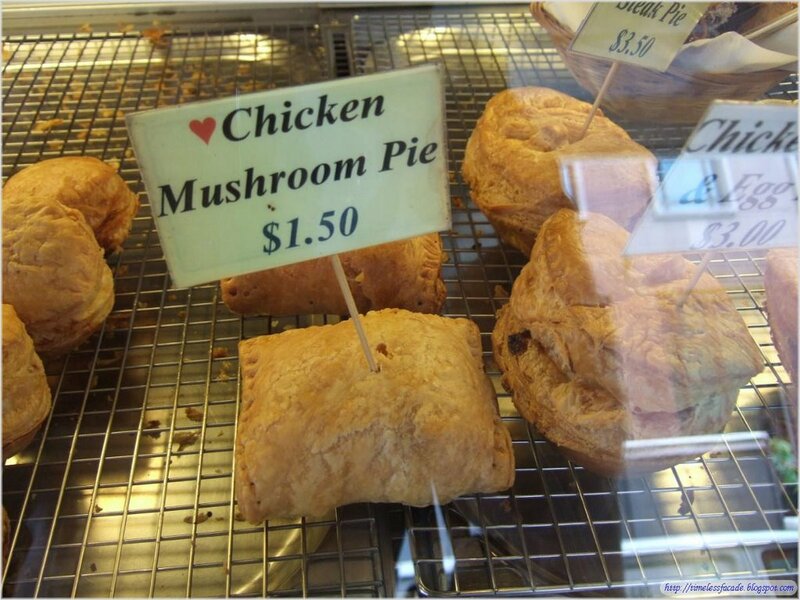 But at $7.50 a pie, it's pretty expensive. The crust was flaky without being too oily. The ingredients however, made it stand out. The Beef with Bacon and Cheese pie had lots of ground beef stuffed into the pastry with a little gravy, which made the beef a little moist and tasty. Sadly, the cheese taste wasn't evident though. The Chicken with White Wine was excellent. The chicken breast was chunky and the gravy had a subtle taste of wine, which gave a nice creamy aftertaste. 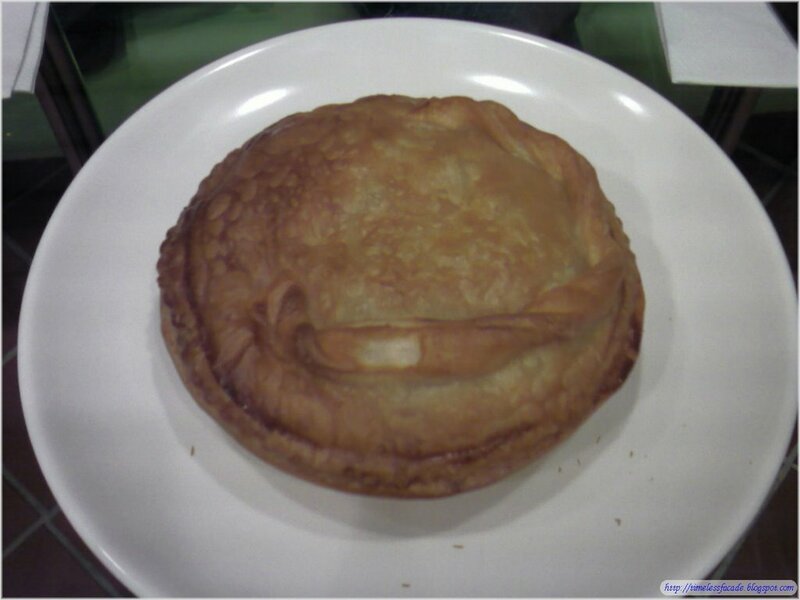 Rating: 6.75/10 for the Beef with Bacon and Cheese pie, 7.5/10 for the Chicken with White Wine pie. 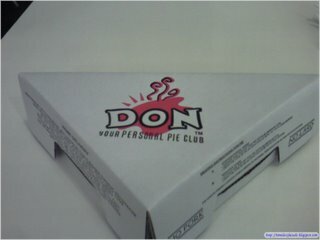 Don's Pies. Two outlets as well, with both in close proximity of each other at China Square and Far East Square. 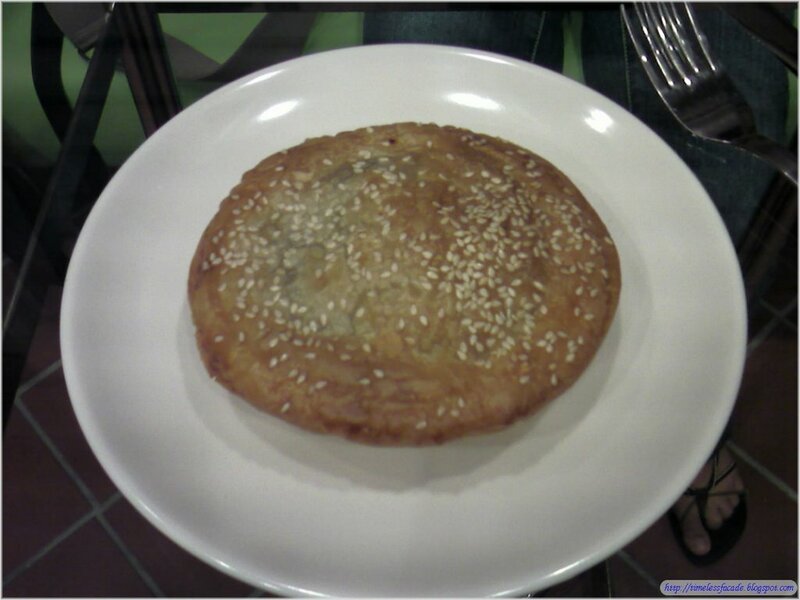 (Directly opposite each other actually) We had their famous chicken pie which was recommended by the sales staff. One huge slice set us back by $3.80. 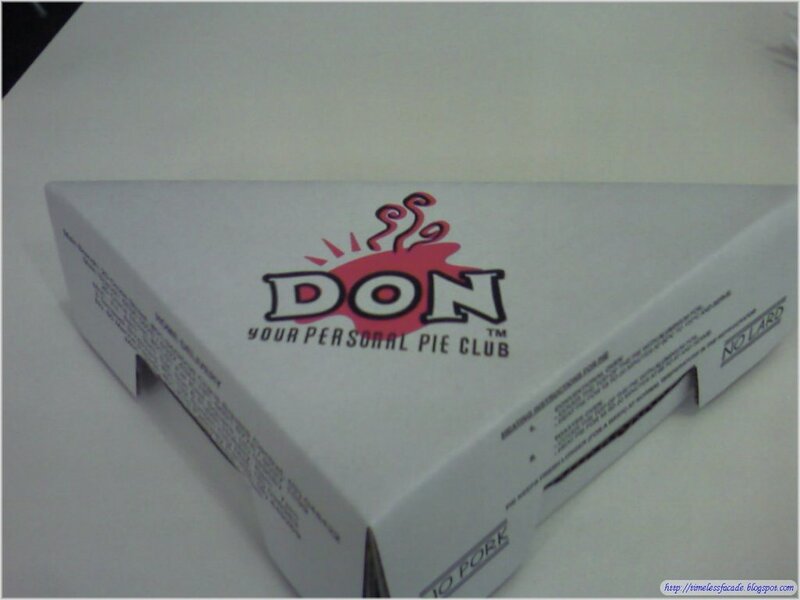 This pie was different from the other 2 that we had eaten. The crust was soft and a little moist. The filling comprised chicken, potato, and half a boiled egg, all seasoned with ground pepper. The potato seemed to overwhelm the little bits of chicken that we struggled to find. 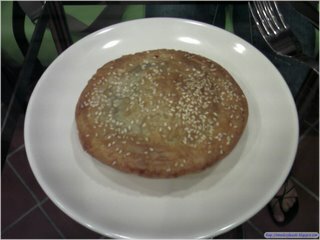 Overall, it seemed a very mashed up pie and it was too soft and moist for our liking. The pies are making me hungry. 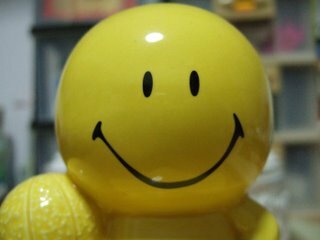 I'm just back from a tiring trip to Tioman and I have to start packing and get to the airport at 4.30am.....the curse of work! lol. I guess work has its ups and downs.